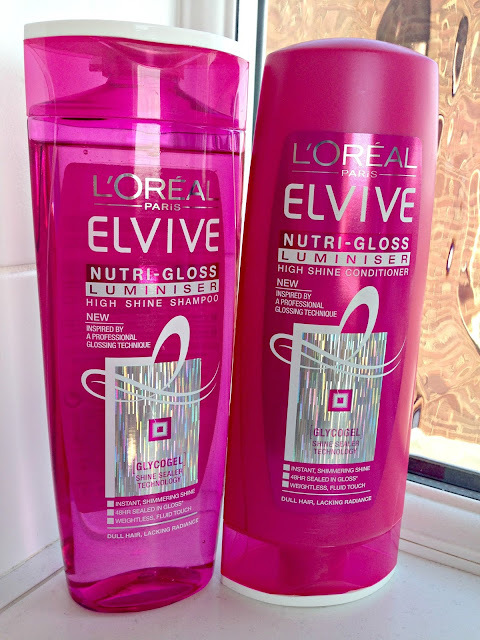 L'Oreal Elvive Nutri-Gloss Luminiser Shampoo & Conditioner Review! As I've many times in previous posts I love trying out new products whenever they come out and I really am a sucker for advertisements. Seeing all those beautiful models bouncing around the place, flicking their long luscious locks everywhere because of the latest new discovery in the world of shampoo makes me actually believe that I too can have this. Like I said, I'm a sucker! The latest products I fell more was the L'Oreal Elvive Nutri-Gloss Luminiser shampoo and conditioner set. 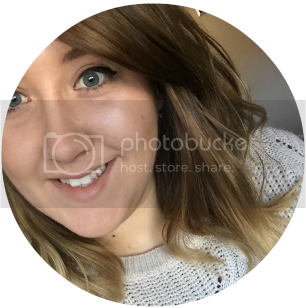 I've tried a few of the L'Oreal Elvive products in the past and I never noticed a massive difference to my hair so I have to admit although there was a nice flashy advert on the TV, I wasn't really expecting much. Nevertheless on my next visit to Tesco, I did pop the shampoo and conditioner in my trolley to give it a try. One of the main selling points for the Luminiser range is the ingedient Glycogel which is advertised as a being part of "shine sealer technology". Over time the fibres in each hair strand can become dull and lifeless and the cuticle can become rough which will effectively disrupt the light reflection. L'Oreal claim to have found the perfect formular to remove these impurities and coat them with gloss enriched with the Glycogel to help hair go back to the perfectly polished and "show-stopping" shine! Sounds good eh? I've been using these products for about 2-3 weeks now and I have noticed that my hair is looking a lot smoother and shinier. I'm not sure how much this is down to the shampoo or how much is down to the Hairworx tablets I've been taking. But either way, I'm loving my hair right now! I would definitely recommend this set to anyone with dull/flat looking for a bit TLC then this is for you! I myself am in love a little in with them and I see myself picking up another bottle when I'm next out! You can check them out here and here on the Boot's website for £3.99 for a 400ml bottle. Psst, they're currently on 3 for 2 offer! I love the L'Oreal Elvive range! All of their shampoos seem to be pretty amazing! I've always wanted to try these but have just never gotten around to it! I have tried loreal products on my hair and it looks nice.